You have a podcast now? Say what?? 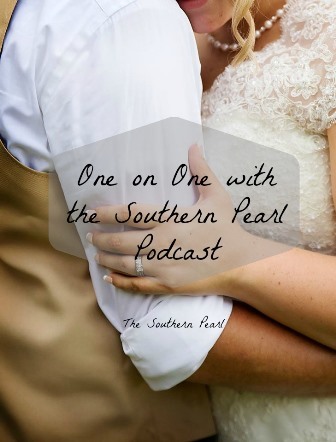 Yes you read correctly….I have started a podcast called One on One with the Southern Pearl. I wanted to take The Southern Pearl to a new level and what better way than to start my very own podcast! I am still learning and have a lonnnngggg way to go but I am VERY excited! I actually posted my first episode titled, Episode 1: One on One with the Southern Pearl Podcast Debut, last week. I am pleased to announce that in one week my first episode had 70 plays! I know to some that doesn’t sound like a lot….but you should know by now I get excited over the smallest things/accomplishments :). Like I said earlier I wanted to take The Southern Pearl to a new level and thought a podcast was the best way to do it. I love writing and being able to connect with my readers….but hey I’m a talker and I think I can pull this whole podcast thing off! But I do realize I sound like a total goober in the first episode….I hope to not sound like that on all of them haha. For some people it is easier to have a podcast playing in the background while they are cleaning or doing other activities than it is to sit down and read a blog post. That is why I am offering my audience both! I have some loyal followers who will both read my posts and listen to my podcasts….kudos to you! Thank you, thank you, thank you! I’m not sure how well this podcast will go but without trying I will never know! My goal is to have a new episode up every Wednesday. However, sometimes life can get in the way and that may not always happen…but a girl can hope right ;). Head on over and give One on One with the Southern Pearl a listen! You can listen to Episode 1: One on One with the Southern Pearl Podcast Debut on Spreaker here.